Spend Christmas in authentic Lapland during your winter escape to Utskjoki. Spanning over 7-nights, you’ll make the most of your location within the Aurora Zone with dedicated Northern Lights hunts. You’ll also explore your wild surroundings during the day with activities including dog sledding and reindeer sleigh rides. You wouldn’t describe Utsjoki as a winter wonderland; the terrain is far too wild to be associated with such Dickensian notes of Christmas. Utsjoki is actually the most northerly municipality in Finland and if you cross the bridge to the north of the village which crosses the Teno River (famous in salmon fishing circles) you’ll find yourself in Norway. It might best be described as “out-of-the-way” so what better place to escape the commerciality of Christmas? 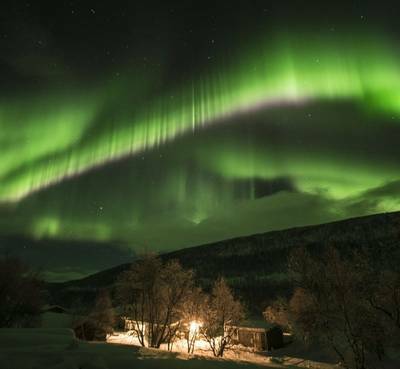 So, rather than battling through the crowds in search of those last minute presents how about chasing the Northern Lights amidst the rolling fells of Northern Finland? Instead of stressing over the Christmas dinner timings (don’t you hate thick cold gravy?) why not join us on a snowshoe walk into the Lappish wilderness? 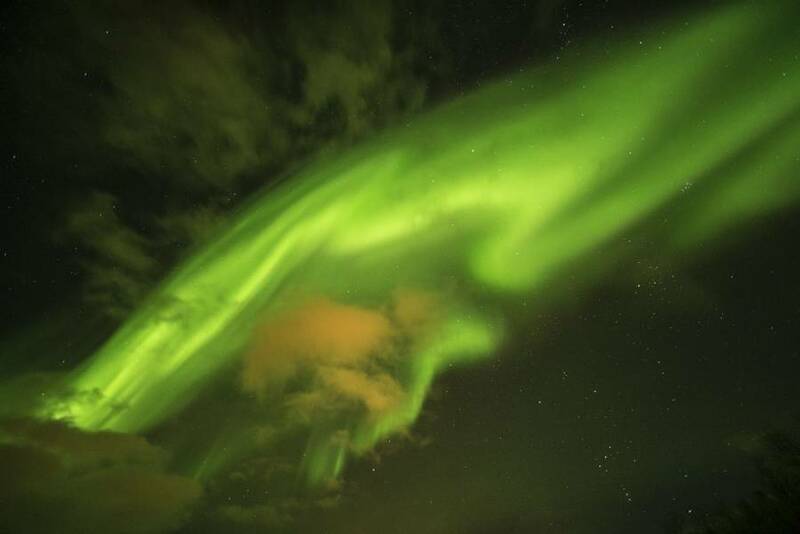 It is an enticing prospect, knowing that the Aurora could bring festive lights to the night sky at any time. 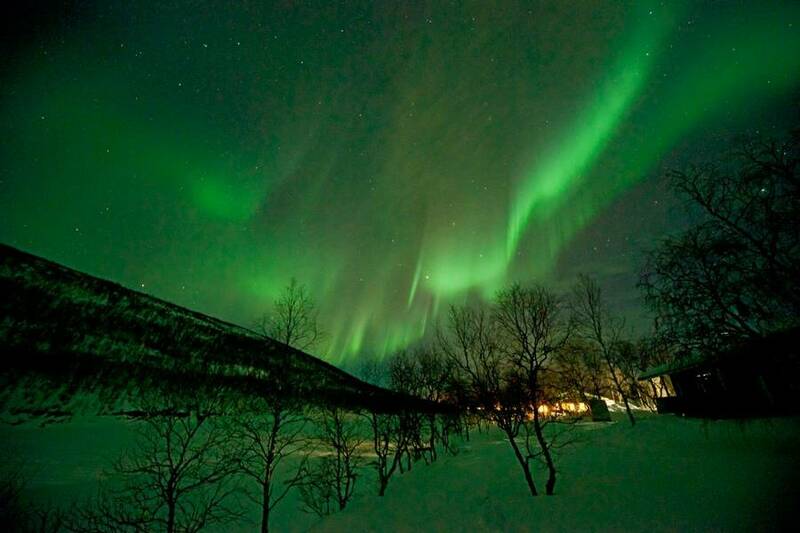 This holiday is designed to maximise those Aurora viewing opportunities in two particular ways. 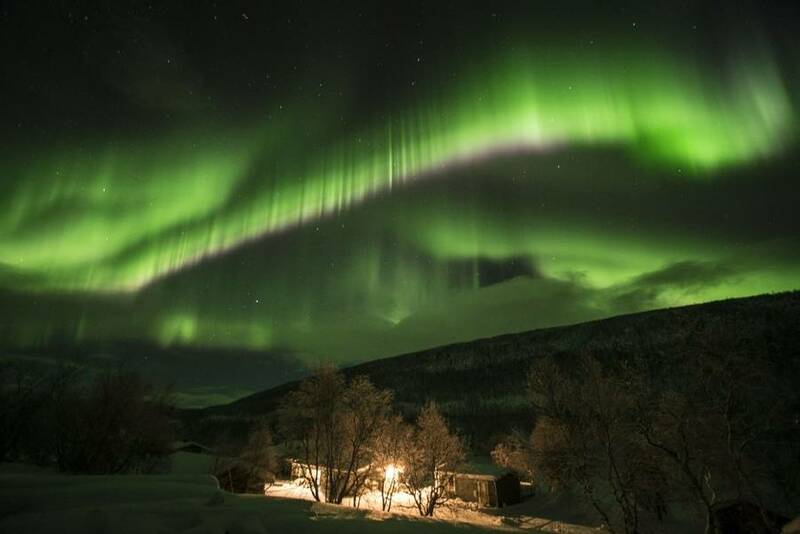 Firstly, Utsjoki’s remote location deep in the heart of Northern Lights country means that there is very little artificial light to diminish the clarity of Auroral displays. What’s more, your accommodation lies outside the town itself. 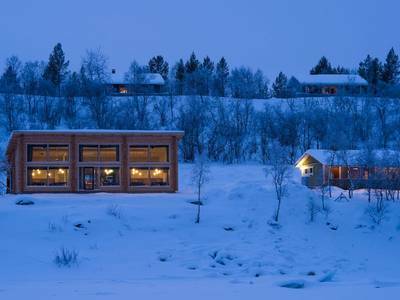 The hotel and cabins enjoy a northerly aspect across the Teno River into Norway and towards some very, very dark skies. 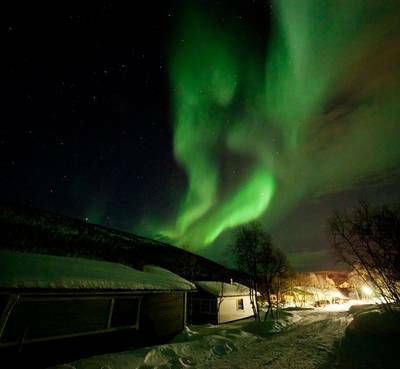 Secondly, we’ve included four Aurora hunting activities in the company of experienced local guides. 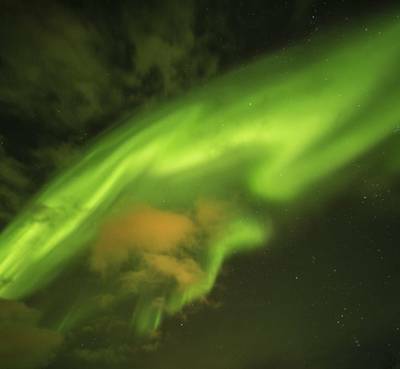 Nobody knows the terrain (and skies) better than these guys and they’ll be able to show you the very best vantage points for viewing any Auroral displays. Nobody can ever guarantee that you will see the Northern Lights. However, this far north of the Arctic Circle, the long, dark nights, the limited light pollution and expert guides make this prime Aurora hunting territory. We’d hate you to miss out on Christmas entirely so between all the Aurora hunting there will be a few Yuletide activities. On Christmas Eve, you can help to decorate the tree before enjoying a delicious Christmas dinner in a cosy winter setting. 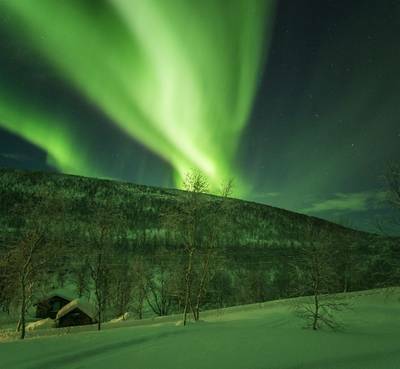 Imagine the potential of then witnessing a festive Aurora display as Christmas day approaches. It sure beats the Eastenders Christmas Special! Upon arrival into Ivalo, you will be greeted at the airport and transferred to Utsjoki which will take approximately two hours. It’s a fascinating journey and we suggest that you try counting the number of vehicles that pass you on the road. Chances are that you’ll see more reindeer than cars! 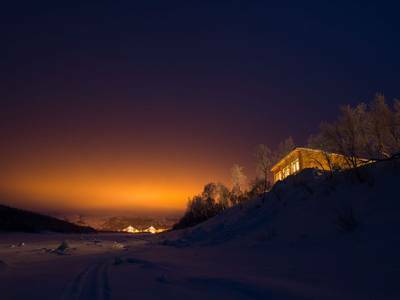 After dinner, you may wish to take advantage of Utsjoki's remote location and minimal artificial light and venture outside, breathe in the invigoratingly fresh air and gaze up at the northern skies. After breakfast, you will attend a welcome meeting where you will be given all of the necessary information for your trip and be provided with cold weather clothing which you keep until the end of the week. We understand that you are trying to escape a typical Christmas but here in Northern Finland, there is no escaping reindeer. They have played a huge role in the local Sámi way of life for centuries so it is fitting that here, in the heart of Sámi country, you begin with a reindeer pulled sleigh ride. 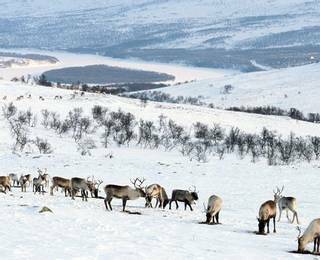 The farm is a short walk from the hotel and after meeting your Sámi guide you will gain a fascinating insight into the culture of reindeer herding which has contributed to the Sámi people’s ability to live in the harsh environment north of the Arctic Circle. 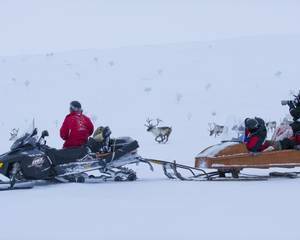 Following this introduction, you’ll jump in the sleigh for a gently paced ride into the terrain surrounding the reindeer farm. If gliding over the winter snow on a reindeer pulled sleigh doesn’t get you into the Christmas spirit then it is very likely that you will receive a visit from three ghosts during the evening! After the ride, you can relax and enjoy a snack and a hot beverage in your guide’s cosy and authentic Kota. Once again, he/she will regale you with tales and stories about his/her life as a herder while you enjoy the warmth of the roaring fire. 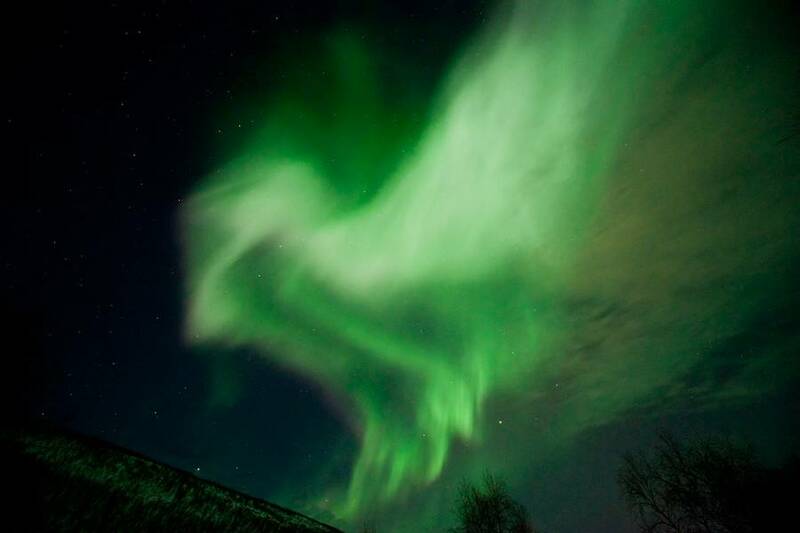 This evening the focus turns to the Aurora Borealis. 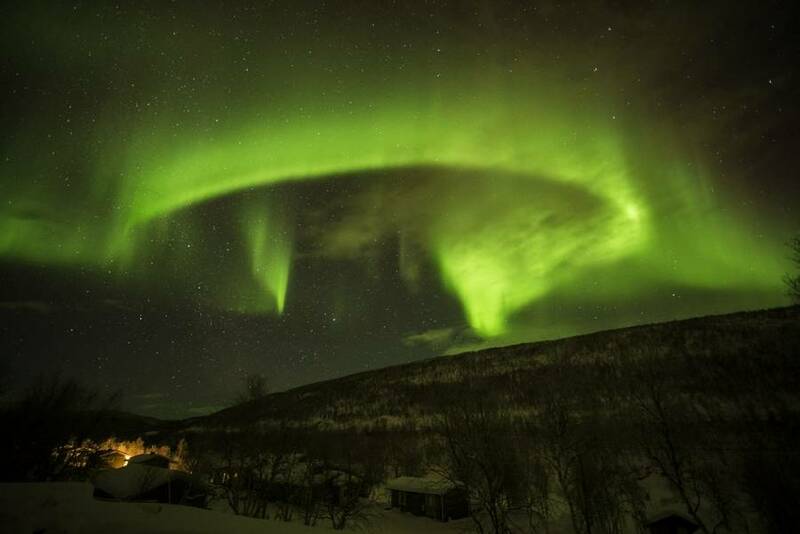 The dark winter nights, lack of light pollution and location at the heart of the Aurora Zone make Utsjoki a prime location for potential displays. During your first evening, you will accompany an experienced guide along one of the walking tracks, away from the artificial light of the accommodation. Should the Aurora appear in the starry sky, a prior introduction on how to capture the Northern Lights on camera will have prepared you for the event. 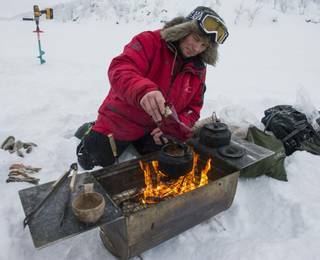 Hot drinks will be served as you enjoy the silence of a winter night, north of the Arctic Circle. Following breakfast, you will join your guide for a morning of snow-filled activities. 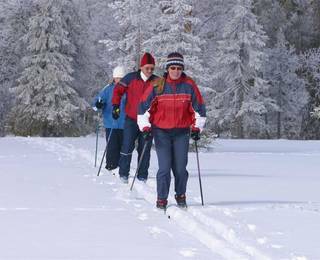 Cross-country skiing is akin to a religion in Finland and it is believed to have been a method of transport for generations of Sámi people. In fact, it is said that the oldest ski of over 500 years, was discovered just north of the Arctic Circle in the municipality of Salla. You will be given an introduction to the art of skiing which will likely include a graceful fall or two but do not be perturbed, as everyone here at The Aurora Zone has suffered the same fate. Following this, you will then be given an introduction into snowshoeing and you can choose either this or cross-country skiing as you follow your guide on a short tour. Whichever method you decide on, this tour of the Arctic landscapes surrounding Utsjoki will include a knowledgeable insight into the local nature and wildlife. Your local guide will show you how to read animal footprints in the snow, as it is often possible to see tracks from willow grouse, hares or reindeer. You will then learn one of the Arctic’s must-have skills, fire building, before enjoying the crackling warmth with a hot drink. 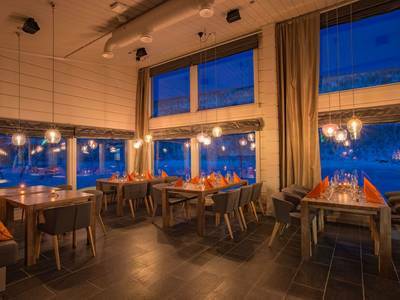 During the evening, you will have dinner at the Deatnu Restaurant which specialises in traditional Sámi dishes using locally sourced produce such as game meat, fish and reindeer. 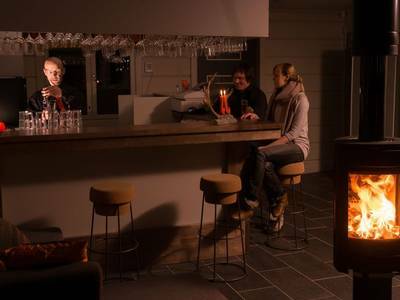 With two roaring fires, the restaurant just adds to the cosy winter setting. This evening, the hunt for the Northern Lights continues. 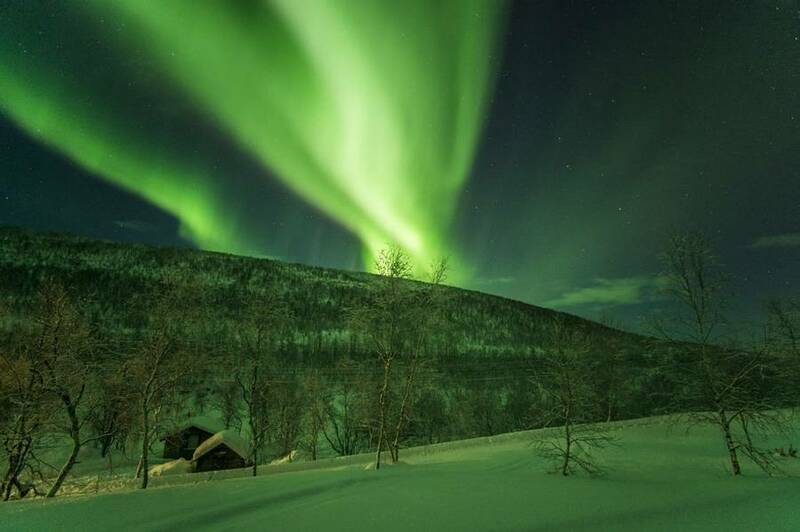 This part of Finland witnesses some truly captivating Northern Lights displays during the long winter months. This holiday is designed to maximise such opportunities and a snowmobile-pulled sleigh ride with a knowledgeable local guide will allow for this. It is surreal to consider that only days ago you will have been going about your daily routine and now you are gliding over lonely winter fells in search of the ‘Temperamental Lady’. Just being out in this terrain at night is exciting but to witness the Aurora from the summit of a sacred fell is simply beyond description. Your Christmas Eve will begin with a visit to the husky farm in Tana. This farm actually lies on the Norwegian side of the River Teno, so you will be spending your morning in Norway. Dog sledding has become extremely popular here in Lapland and the distant barks of the dogs as you approach are only a taste of the eagerness and excitement which you will witness on arrival. These dogs live for adventure and your arrival means that they are going for a run. What with all these energised and eager canines literally straining at the leash canine it can get pretty noisy prior to departure. You need to listen carefully as your musher guide gives you a thorough briefing before helping you to get to grips with the sleigh. There is always a slight sense of nervousness as you wait for your dogs to be untethered and once they are, the pace can be pretty hectic initially. Our advice is to keep your foot on the brake at the start but your team will very swiftly calm down and settle into a more relaxed running pace. After that, everything else falls into place as you glide across the winter landscapes to the gentle pattering of paws and the swish-swish of your sled’s runners. On your return, you will receive a picnic lunch which you can eat around a campfire while listening to stories and interesting facts about these working dogs. We haven’t forgotten Christmas completely and once back in Utsjoki, you can get into the yuletide spirit by helping your hosts decorate the Christmas tree in preparation for the evening’s festivities. A special Christmas meal will be served in the restaurant this evening. The Lappish setting and the cosy atmosphere of roaring fires and the convivial conversation are very much a reminder of Christmas before the introduction of smart phones and tablets. 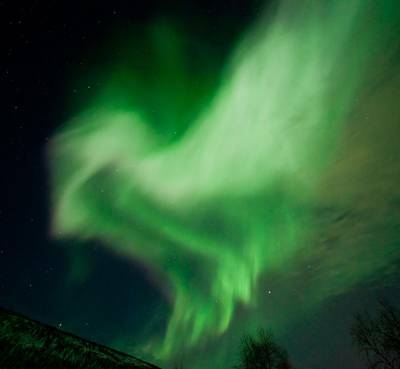 Who knows, you may even witness an after-dinner Aurora which would signal the perfect ending to this festive day. Christmas Day is yours to spend at leisure and you can simply relax and take advantage of the hotel facilities. Alternatively, you can enjoy a more active day with a number of winter-based activities. Please see the 'Personalise' section for details. 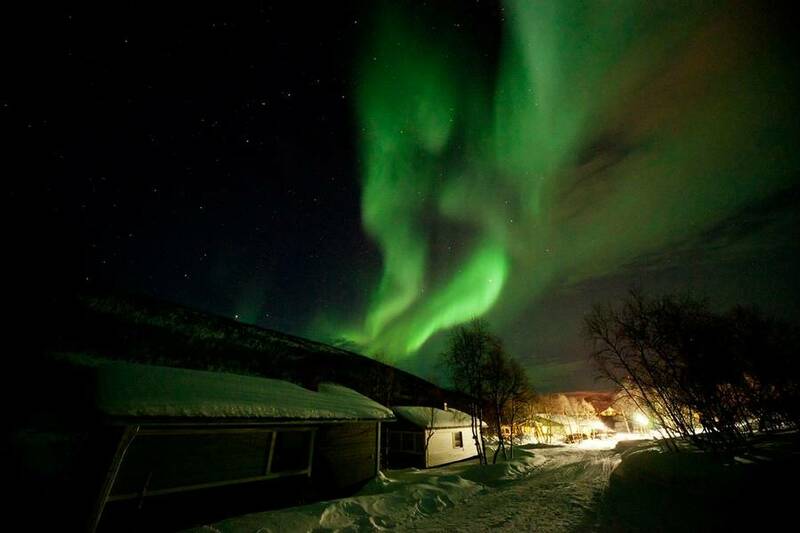 During the evening, you will begin the hunt for festive Auroras via snowshoe. Imagine the prospect of spending Christmas Night seeking out a captivating display. 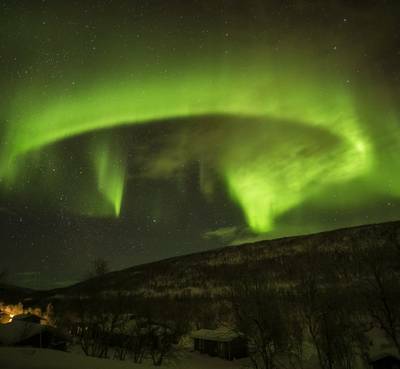 The location of Utsjoki, north of the Arctic Circle ensures that you are in the heart of the Aurora Zone with very little light pollution. It is a stunning contrast to the typical Christmas evening, which generally consists of struggling to digest excessive quantities of food whilst still doing battle with a barely depleted turkey carcass. Boxing Day we have left for you to spend at your leisure. There is an abundance of activities which you can add to your holiday, such as a tour of the Arctic Ocean over the Norwegian border or some winter fishing. Alternatively, you may simply want to use this opportunity to soak in the remarkable contrast of life in Lapland compared to anywhere else in the world. Leisure time is ideal for simply exploring the surroundings without any time restrictions and at your own pace. Your hosts will be happy to offer advice on nearby walking trails. After dinner, you will venture out into the wilderness in a snowmobile-pulled sleigh. With an abundance of local knowledge at hand, your experienced guide will lead you to an area which he believes will offer the best opportunity of spotting the Aurora. Part of the thrill is in the hunt as you glide across the snow-covered landscapes looking out for any flickers of dancing colour in the night sky. Following breakfast, the day will be yours to spend at your leisure. 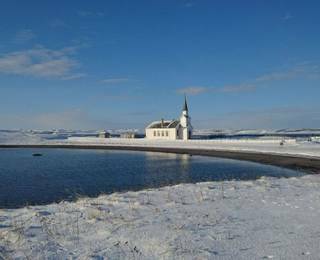 The remote location North of the Arctic Circle ensures that there are a number of winter based activities which you can add to your holiday. Alternatively, you may just want to relax and take advantage of the peaceful atmosphere and tranquil surroundings. A special evening awaits as you bid farewell to Lapland with a traditional Finnish dinner in a Lappish Kota. 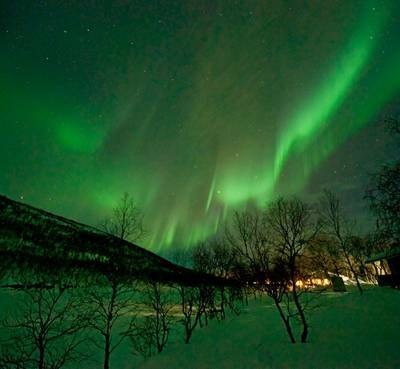 It is the perfect way to end your festive adventure particularly if the Aurora makes an appearance outside. You will eat by the open fire while your Sámi host regales you with stories about life in Utsjoki. If you are lucky he may also sing some 'Joiku' for you, a specific type of traditional Sámi song. Enjoy the atmosphere of the Arctic one last time. Following breakfast, you will be transferred back to the airport with some fantastic festive memories and a completely different take on how Christmas is celebrated here in the far north of Finnish Lapland. You will be driven over the border into Norway towards the magnificent Varangerfjord and the small fishing village of Nesseby. A highly recommended Sámi museum lies within the village and you will visit here and gain insight into the lives of the indigenous people of the Nordic countries. The Sámi have adapted and thrived despite the harsh Arctic winters and it is fascinating to understand how they have done so. This tour will also include a visit to ‘seita’, a Sámi worship site, and there will be a picnic lunch along the way. A further stop at the colourful Sámi handicraft workshop in the village of Tana will allow you to pick up any souvenirs. Utsjoki is a wonderful retreat with a comfortable hotel and good restaurant. Amazing staff. Family run resort. Very well run. Hope they will keep up their good work. We will be back.